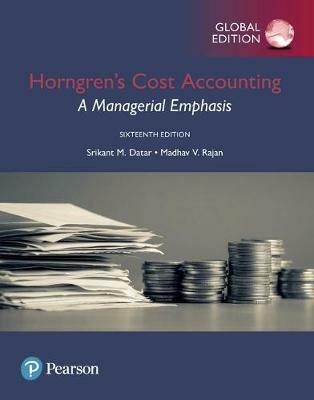 Horngren’s Cost Accounting defines the cost accounting market and continues to innovate today by consistently integrating the most current practice and theory into the text. This acclaimed, market-leading text emphasises the basic theme of “different costs for different purposes,” and reaches beyond cost accounting procedures to consider concepts, analyses, and management. The 16th Edition incorporates the latest research and most up-to-date thinking into all relevant chapters, so that readers are prepared for the rewards and challenges they will face in the professional cost accounting world of today and tomorrow.